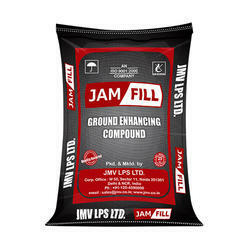 Prominent & Leading Manufacturer and Exporter from Noida, we offer Back Fill Earthing Compound such as Jam Fill Compound, Earth Enhancing Compound, Jam Plus Compound, Jam Forte and Jam Magic. 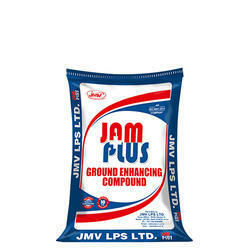 JAM Plus compound is designed using material possessing low conductivity and high resistivity. The offered range is ideally applicable for earthing process and in compliance with IEC 62561-7. We are an eminent name and the leading manufacturer of Earthing System. Our Earth Enhancing Compound comply globally accepted standards, known for maintaining resistivity value of soil and generating a low resistance zone that surround the rods to render a constant environment to deliver constant output. Does not leach out with time. The Chemical Earthing Compounds that we manufacture have been made using the best quality material. They are well examined at various levels in order to provide with quality centric performance. Our products are made under the superior guidance of professionals who are known for their best portrayal. We ensure quality that is unmatchable and nominal rates. The products manufactured by us have achieved a spot in the industrial arena for its basic properties. Now, reducing the electrode to soil resistance along with creating a low resistance zone near the electrode to ensure its output constant has become simple with mineral filling compound. 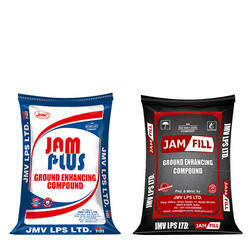 JMV, a leading Manufacturer of chemical earth Compound (JAM Fill), brings forth the best and effective Earthing Backfill Compound. This is an innovative, eco friendly and precisely developed material that eliminates the utilization of salt & charcoal. Backfill Grounding Compound is a non corrosive material with the capability to absorb and retain the moisture content from the surroundings. It is non soluble in water, hence it just sticks to one place without washing out by the water of rain or underground. Avail from us the premium quality earth enhancing compounds. These are used to soil resistance and to create a low resistance zone surrounding the electrode to provide a uniform environment. It maintains constant soil resistance for the better working life of the grounding system without any damaging effect to the earth rods. Looking for Back Fill Earthing Compound ?